Q is the third to the right of J who sits at any of the extremes ends of the line. The neighbours of Q faces opposite directions. S is the second to the right of Q. P is not an immediate neighbour of Q. The face of S is an as same direction as Q. T is the immediate left of M. Q faces north. M is the immediate neighbour of S. L is the immediate left of P. P and Q faces opposite direction. L does not sit at any ends of the line. The person between J and N is as same as between N and O. R is the seventh to the left of L. O is not facing south. The immediate neighbours of O face same direction as O.
Q.1 How many persons, whose facing to the south are sitting to the left of S? 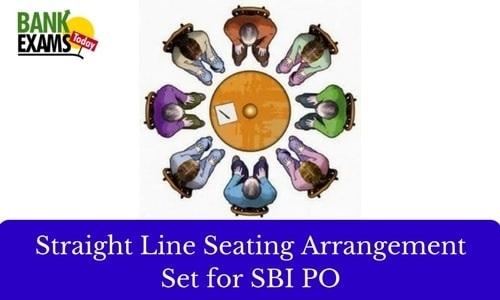 Q.2 Who is sitting exactly between P and S? Q.3 How many persons are facing north? Q.4 Who amongst the following sit at the extreme ends of the rows? Q.5 Which of the following is true regarding T?